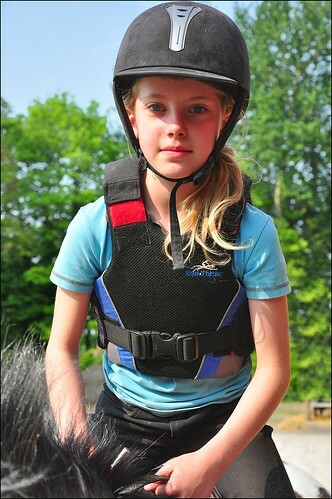 Whether you are a novice or a professional, accidents while horse riding are almost inevitable. Unfortunately, some accidents do turn fatal. The good news is that the impact of these accidents can be reduced drastically if you take some basic precautions and use the right protective gear. There has been tremendous advancement in the quality and features of safety gear over the past few years. So let us take a look at some must-have riding accessories that can save a rider’s life. A rider without a helmet is as common as a driver who doesn’t wear his seat belt. Head injuries resulting from a fall can range from a minor concussion to complete brain damage or death. And all it takes to avoid this is the few seconds that it takes to securely fasten a helmet. Riding helmets have come a long way from being just mere hunting caps to lightweight, foam-lined helmets that are designed to handle severe impact. 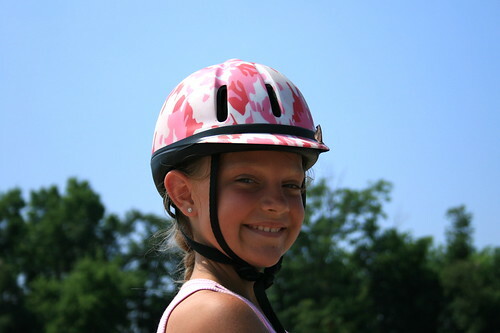 While choosing a helmet, make sure you pick one that is designed specifically for horse riding and has passed standard tests. Fit is very important, so go in for one that sits comfortably on your head, and always ensure that the harness strap is fastened. While protecting the head is of utmost importance, one shouldn’t forget bout a protective body vest too. These safety vests cushion the impact of a blow, and minimize injuries to the torso in case of a fall. Foam blocks in the vest absorb impact, and some even have tiny holes to improve airflow. More recently, some safety vests incorporate a protective plastic panel that covers the spine. Vests come with buckles or straps, which should always be securely fastened. It is quite easy to underestimate the importance of proper boots with good heels. Choose shoes that are comfortable, provide good ankle support and have shock absorption capability. The fit should be snug enough to stay put as you walk, but not too tight so you’re unable to put your heel down after mounting. It is extremely important to ensure that the boots have good heels and one-piece soles. In the event where you’re thrown off balance and your footgear slips through the stirrups, it is very likely that you fall and your foot is still stuck in the stirrup. In this horrific scenario, the horse can drag you, leading to injuries or death. Carry a no-hands flashlight, such as a headlamp with a harness in case of an event where your horse stops because of an injury or loses a shoe. This will also help your companions find you if you are lost or injured while riding in low light conditions. High visibility riding clothes that are designed specifically keeping in mind your safety and comfort, are also available. Just as it is important to ensure our safety, so it is to see to it that your horse is appropriately accessorized for a safe ride. 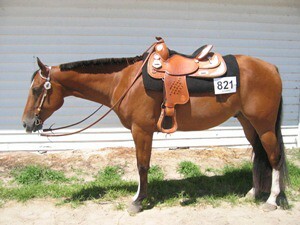 All horse tack equipment including the saddle and the bridle should be checked for wear and tear. Boots that are worn by the horse need to provide comfort and protection. This guest post is by Nick Anderson, who love grooming and riding horses. 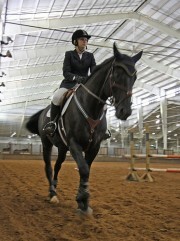 He uses guest posting to share his knowledge about horse riding. His day job is at Saddleworld Dural, manufacturers of a range of quality products including saddlery, rugs and more.